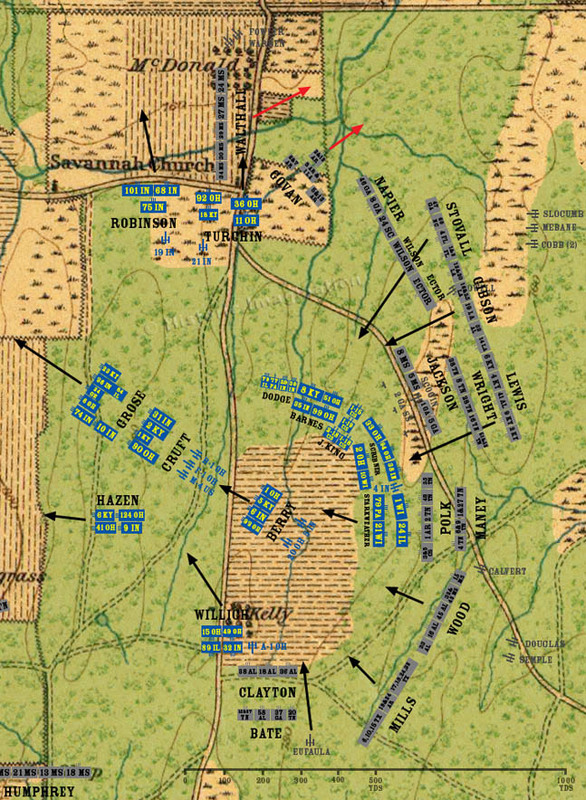 Reynolds’ division slams into Walthall’s equally unprepared left flank, and also routs the Confederate brigade. Breckinridge’s Division muscles its way through the stalled Confederate formations in front of it to get into position for a final charge. Starkweather attempts an orderly withdrawal, first sending back his frontline regiments to the middle of Kelly Field to form a second defensive line upon which the rest of the brigade could rally. Cleburne’s Division closes in on Kelly Field. Willich’s brigade withdraws in good order.